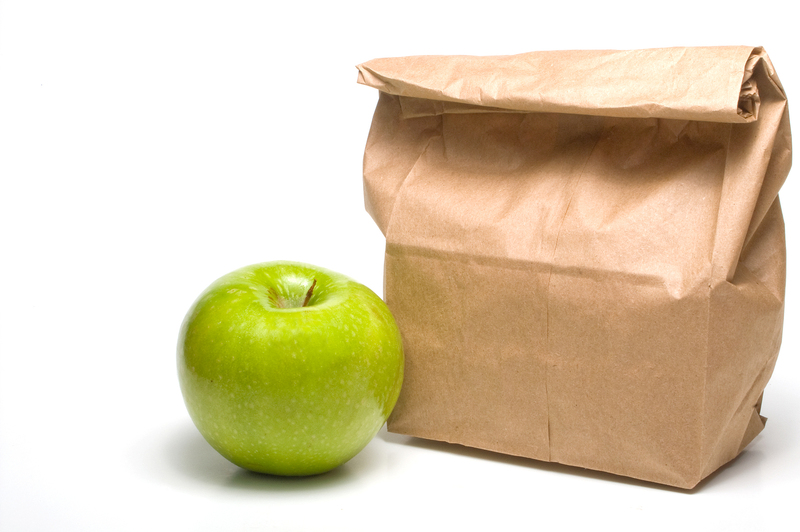 Whether it’s August and back to school time for kids, or you’re just trying to save a little cash by packing your own lunch — just about everybody will “brown bag it” at one time or another! At STOP Foodborne Illness, that means it’s time for us to shine the spotlight on ways you can keep homemade lunches safe to help protect your family from food poisoning. Bacteria danger zone. Bacteria grow rapidly in the temperature “danger zone” of 40-140 °F. Wash your hands. When preparing lunches, wash your hands thoroughly and keep all surfaces you’re working on clean. If you have children, seeing you in the habit of washing your hands before and after preparing or eating food is an invaluable safety lesson for them, so use this as an opportunity to explain the importance of hand-washing in preventing foodborne illness. Use ice packs. These inexpensive food safety “must-haves” help keep cold foods cold. You can pick them up for about $1 each. Use an insulated thermos. This keeps hot foods hot like soups, chili, or mac & cheese. Freeze drinks before packing. Frozen milk, juice boxes, and water bottles will help keep the drinks cold, along with other cold foods you’ve packed. Pack hot foods while hot. Don’t wait for hot foods to cool down before packing. This puts them in the temperature “danger zone” where bacteria multiply. Instead, pour piping hot foods like soups immediately into an insulated thermos. You can also preheat your thermos by filling it with boiling water, letting it sit for a few minutes, pouring out the water, and then adding your hot food. Wash and separate fresh fruits/veggies. Be sure to wash these foods thoroughly before packing them in the lunch using plastic bags or containers to keep them away from other items. Use individual snack packs. To help prevent the spread of germs, these are recommended. Be aware that portions packed from larger bags of items like pretzels, chips, and cookies could mean potential exposure to bacteria from many hands that have been in and out of the bag. Add room-temperature-safe foods. Some foods don’t need to be refrigerated to be safe. Peanut butter, jelly, cookies, crackers, chips, dried fruit, and certain whole fruits (bananas, apples, and oranges) can be eaten safely at room temperature. When packing fruits like apples with skins that’ll be eaten, be sure you’ve washed them first. Remember to wash your hands. Encourage your child to wash their hands. Before and after eating lunch, it is so important to wash your hands. Hand-washing with soap and water is best, but wet wipes or hand sanitizer will work in a pinch. Remember the 5-second myth (and explain it to your kids). Any food that touches the floor (where everybody walks, including pets) needs to be thrown away, not put in your mouth. Be sure your child knows that the “5-second rule” is a myth. Toss perishable food. If not eaten at lunchtime, you should throw away perishables like meat, poultry, or egg sandwiches. Unopened, room-temperature-safe foods and uneaten fruit can be kept. Clean and sanitize. Make sure lunch boxes are regularly cleaned and sanitized. STOP recommends cleaning a child’s box each evening before packing the next day’s lunch. Click here for handy tips on cleaning your lunch box. As always, please contact us at info@stopfoodborneillness.org or 773-269-6555 with questions or for assistance. And if you’d like food safety tips for meals prepared at the school cafeteria, please email or call. From all of us at STOP, we wish you and your children a healthy, happy, and food-safe year!